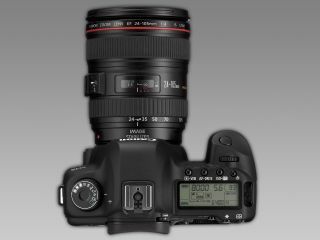 Are the new rumoured 5D Mark III specs right? Another couple of juicy rumours about an impending new Canon 5D Mark III have appeared, this time emerging from the Facebook page of an accessories manufacturer. On the Aquatech Facebook page, the company claimed that the new camera, which it referred to as the Canon 5D Mark III, featured 7.5 fps shooting and a 22 million pixel sensor. Other names that have been mooted include the Canon 5D X or possibly the Canon 6D. After several people asked to know the credentials of the new specs, Aquatech claimed that it had come directly from Canon. Cashing on all the extra attention the Facebook page has been receiving, Aquatech has taken the opportunity to point out its range of products - it's therefore worth taking any comments about specs with a pinch of salt. Canon is notorious for keeping extremely quiet about upcoming models, indeed when we phoned to ask for comment they confirmed that they don't discuss upcoming models. Some are hoping that the camera will make its debut at the upcoming CP+ photography show in Japan, which the company told us nobody from Canon UK is attending. It is also rumoured that Nikon will be announcing a new DSLR at the show, possibly a Nikon D800, so it would seem like a good time for Canon to unveil something. Stay tuned for news of any new camera announcements, as and when they happen.